There are natural and healthy foods that help you lose weight by and are very effective in lowering your blood sugar. High blood sugar is a key culprit to weight gain, obesity, diabetes, inflammation and more. Many folks eat a diet high in refined carbs such as bread, pasta, rice, chips, sugar, etc. that keeps blood sugar high and utimately determines how much fat you store in your body. There are, however, easy, simple food hacks that you can use to help prevent your blood sugar from sky-rocketing after you eat. 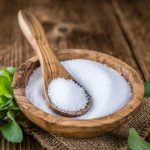 You will not only reduce the amount of sugar in the blood stream but also reduce the amount of insulin released – (insulin is your fat storage hormone and likes to keep it there) to help you shed weight and prevent further fat storage. Cinnamon is naturally sweet and is a great replacement for sugar and a metabolic powerhouse. The best type of cinnamon is Ceylon as it is the sweetest. Adding cinnamon in moderation is an excellent daily habit to promote weight loss and optimal health. Research has shown that cinnamon reduces blood sugar, after eating by up to 29%! 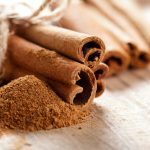 The powerful, active ingredient in cinnamon is Cinnamaldehyde that has a potent effect on fat cells as well as blood sugar, supporting weight loss and in particular, belly fat. You can add cinnamon in your tea or coffee, add to your creamy yogurt, sprinkle it on top of fruits like apples and berries, add it to your sweet potato or throw some into your favorite smoothie. I recommend 2-4 grams a day (1/2-1 teaspoons). Cinnamon supplements are an excellent option as well. 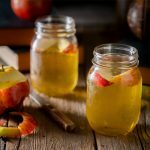 Research has shown that simply taking taking 1.5 – 2 tablespoons of apple cider vinegar before eating a carb-heavy meal helps lower your blood sugar response, increases fullness, reducing calorie intake, helping you to lose weight and belly fat and other health benefits. Additionally, the active compound in apple cider vinegar, acetic acid, has been found in animal studies to help improve metabolism, burn fat, decrease insulin and suppress appetite. Simply adding apple cider vinegar to your liquids, including water can serve as a useful weight loss tool. 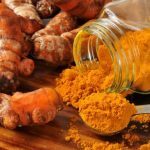 One recent study showed taking 300mg of curcumin (an active ingredient in turmeric) daily for 12 weeks lowered blood glucose levels and increased insulin sensitivity – a key marker of optimal health. Stevia is a natural and healthy sweetener to replace sugar. Chemical artificial sweeteners such as aspartame, promote hunger, fat storage and cravings, not to mention other negative health effects. When you ingest artificial sweeteners, your brain doesn’t know the difference and why you experience hunger soon after you eat. Stevia balances blood sugar helping to stop hunger and cravings and has no side effects. Stevia does not increase hunger like sugar can and stevia has also been show to lower blood pressure. 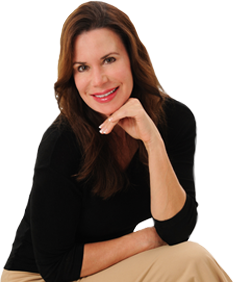 Preventing excess insulin response by keeping your blood sugar low is an important component to a healthy and lean you – you are essentially reprogramming your body to stop storing fat and promoting fat burn in a healthy way. It isn’t just that ‘one’ thing in creating weight loss success, it is a combination of different actions and foods that naturally dove-tail together. Adding these foods to your diet will not only help you shed weight, but help reduce or reverse inflammation and create optimal health.